Vibox has been around since their formation back in 2009 and I can remember those days well, lots of vibrant and cheesy looking systems all listed on EBay. 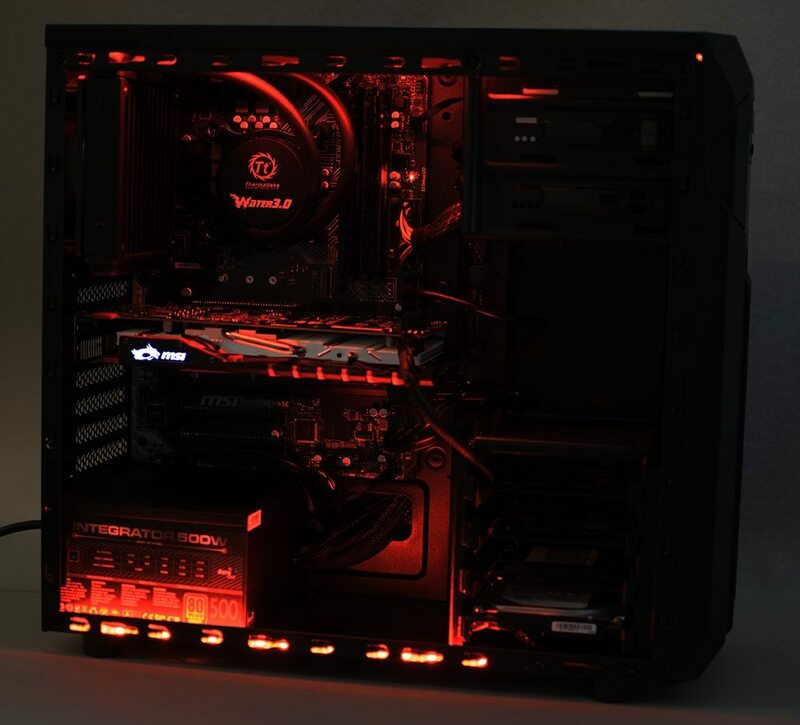 If you fast forward to now, they are now considered to be one of the UK’s leading system builders and have built themselves up on cost effective, affordable and unique gaming PCs. So following on from our last system review which was of course the Element X Blue system also from Vibox, we will be taking a look at another budget gaming orientated system in the shape of the Defcon 3 which prides itself on being red. There are other colour schemes available which do include blue, orange and white in addition to the red version which we will be looking at today. 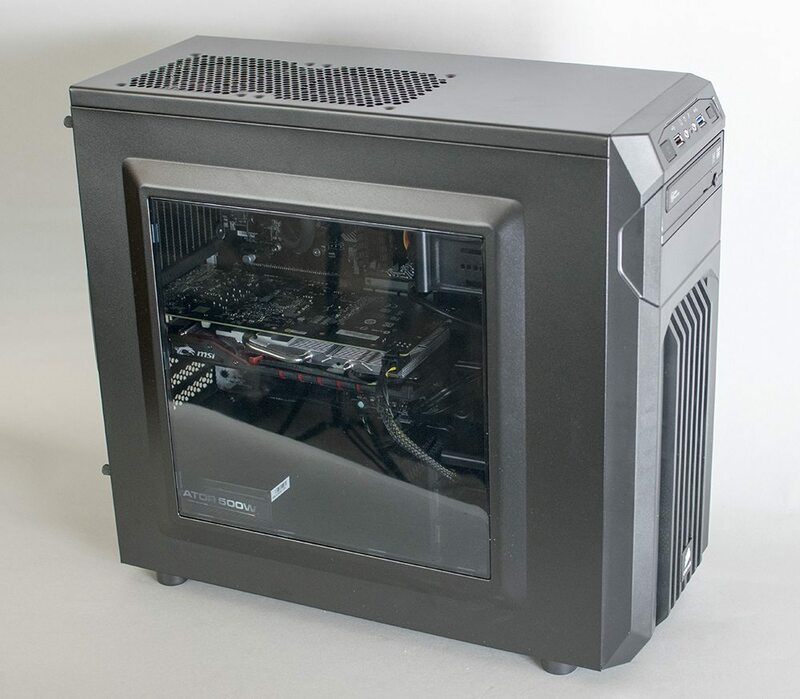 So taking a look at the Defcon 3 itself, Vibox have gone a different route with this system and have entombed the components inside the budget, but good quality Corsair SPEC-01 ATX case. 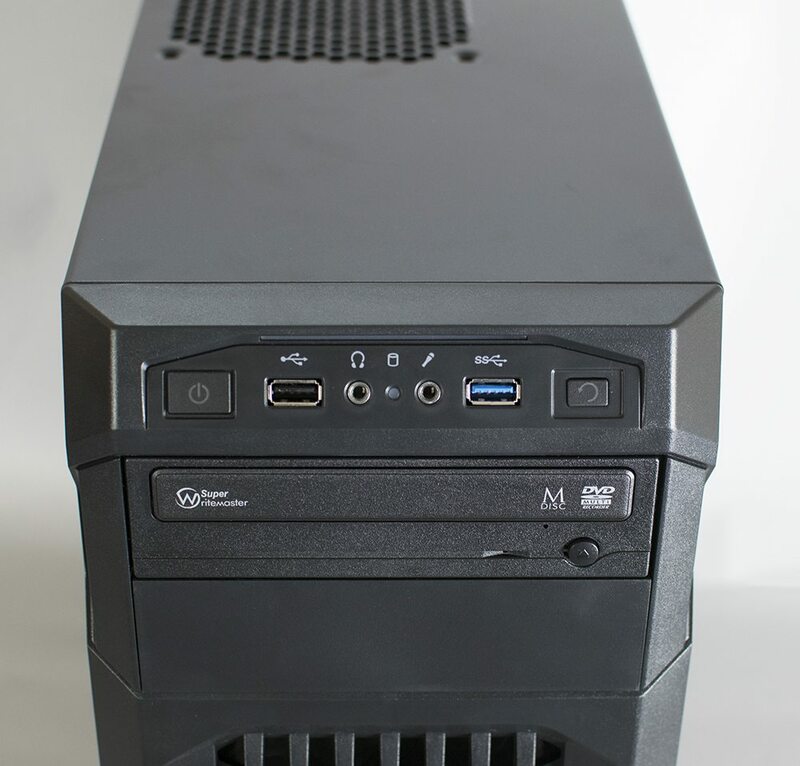 The SPEC-01 itself has plenty of features for a budget gaming case and comes equipped with a standard front I/O. This includes a power button, reset button, 2 x 3.5mm audio inputs for a microphone and headphones (or headset) and 2 x USB ports (1 x USB 3.0 and 1 x USB 2.0). This is complimented by the inclusive 24x DVD-RW optical drive which takes up 1 of the 2 available 5.25” drive bays. The Defcon 3 is based on the latest Intel Skylake chipset (Z170 & socket LGA 1151) and to compliment this system, the main foundation comes in the shape of the MSI Z170A PC Mate motherboard which is of course one for the budget conscientious, but good nonetheless; this system is designed to be as wallet-friendly as possible and it certainly comes up top trumps with the selected components. 6 x USB 3.0 ports, 3 x 3.5mm audio jacks, 1 x RJ-45 Ethernet port, PS/2 keyboard/mouse ports, DVI, VGA and an HDMI port await you at the rear thanks to the varied selection from the Z170A PC Mate. The MSI GTX 950 Gaming 2G included does feature 2GB of GDDR5 memory and has 3 x DisplayPort 1.2 inputs, 1 x HDMI 1.4a port and 1 x Dual-link DVI-I. If your monitor has VGA, you will need to use an adapter and we recommend a VGA to DVI adapter. 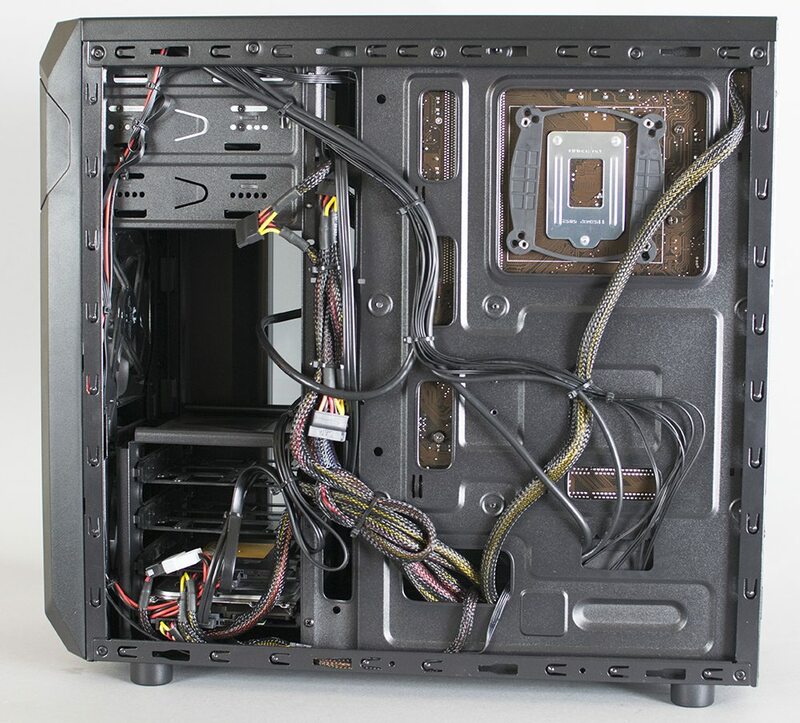 After taking the windowed side panel off the Corsair SPEC-01 case, we come to the bread and butter of the system itself; the internal components! 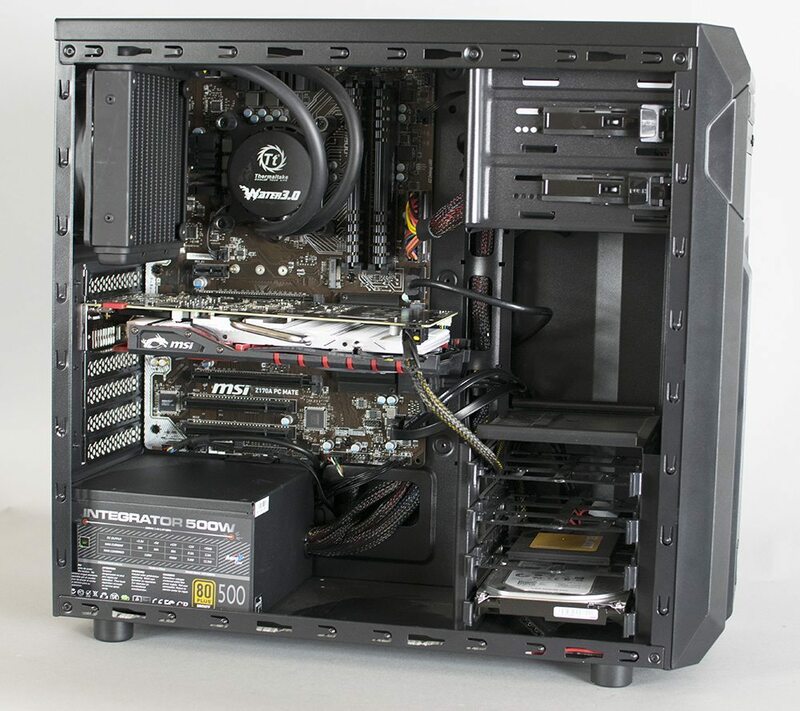 Of course, we have mentioned the graphics card and the motherboard, but this particular system comes installed with the new Intel Skylake core i5 6500 quad core processor which turbo’s up to 3.6GHz from a baseline of 3.2GHz; performance not to be sniffed at for the price and it should perform very nicely! Vibox is also an advocate of using their own OEM branded power supplies in their systems and have included a 500w 80PLUS Bronze rated unit inside the system; it might not be fancy, blazingly high quality, but it does the job, more than it’s asked of it and that’s a good thing! The Intel Core i5 6500 and GTX 950 aren’t exactly power draining so this power supply makes sense when you look at it with reason and logic. We also have 2 storage drives pre-installed thanks to Vibox, the Patriot Blast 120GB SATA3 SSD and a 1TB storage drive for all of your games, programmes and of course, files! The operating system is of course extra on top of the price, but we would suspect it would make sense to go with Windows 10, or if you have a code from your previous system, you could in fact use that license permitting! 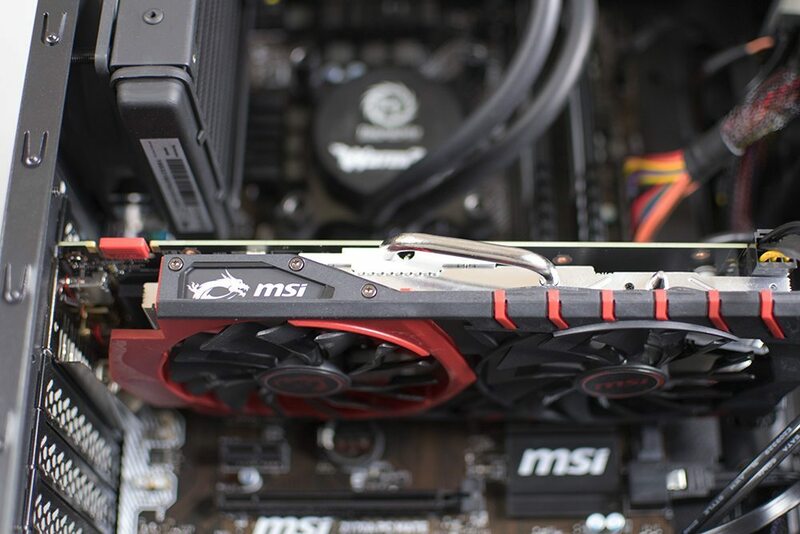 Here we have a close-up of the included MSI GTX 950 Gaming 2G from NVIDIA; perfect for medium to high settings at 1080p in demanding games and high settings in MOBA’s such as DOTA 2, League of Legends and even CS: GO! 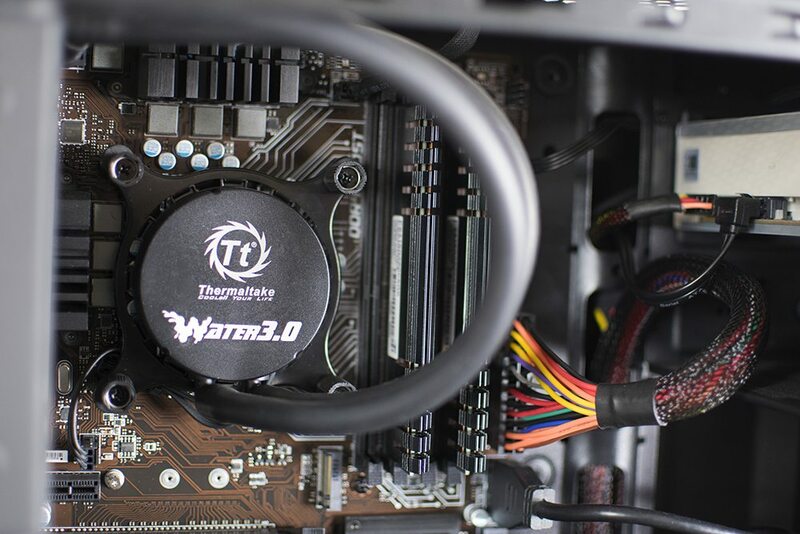 Cooling the stock Intel Core i5 6500 processor is the Thermaltake Water 3.0 Performer CPU cooler which features a 120mm radiator with a single 120mm fan providing cooling power; more than ample as an Intel stock heatsink would have been suffice in cooling this processor. 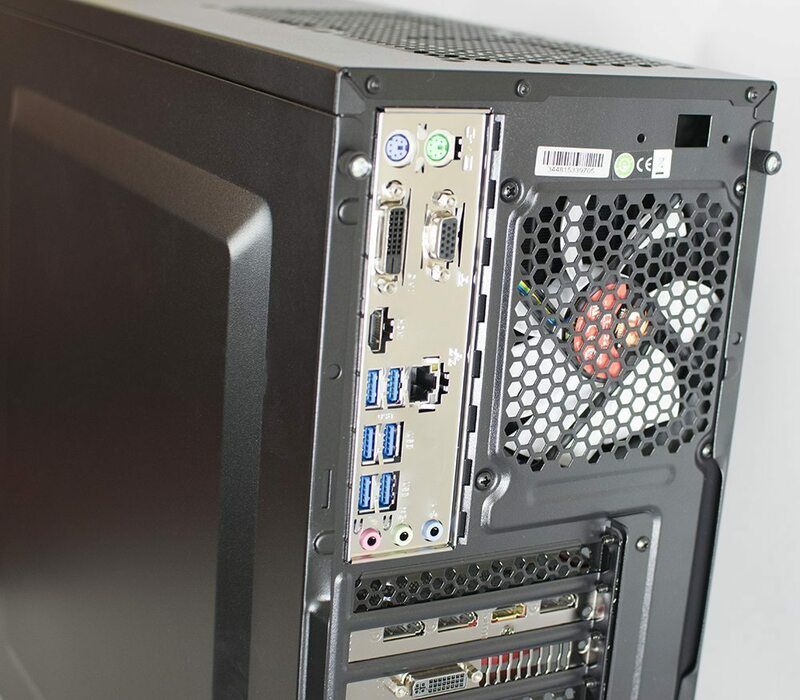 At the rear of the case, we feel Vibox have done a fantastic job working with the lack of room behind the motherboard tray; Vibox are really hot on using cable management mounting points to maximum potential and they do some of the best management we have seen here at Play3r.